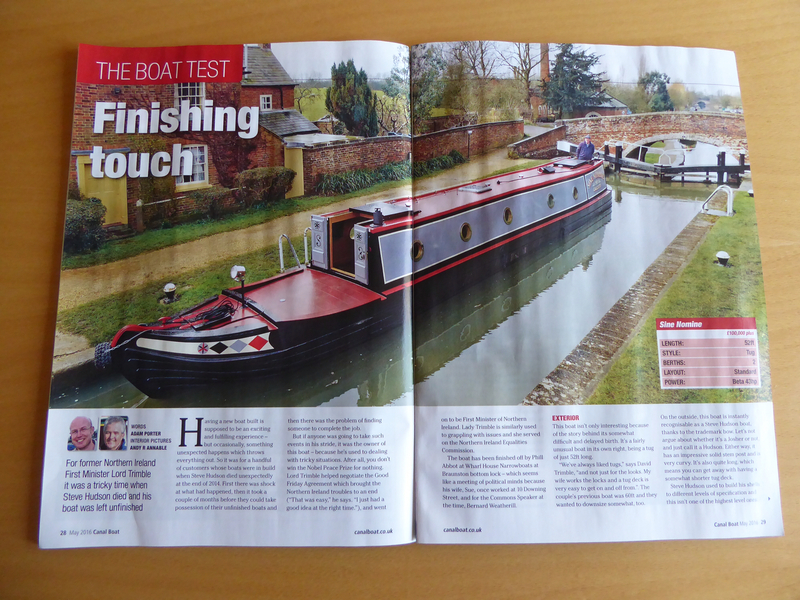 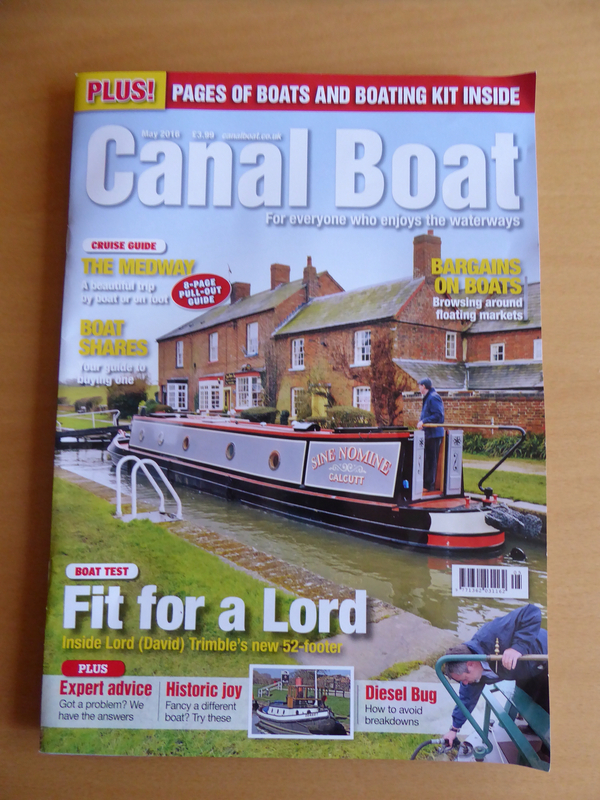 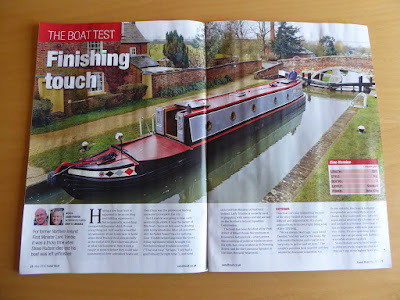 It might still be March, but the May issue of Canal Boat is out, and includes my boat test on Sine Nomine, a Wharf House fitout of a Steve Hudson shell, which was unfinished when Steve died. The boat is owned by Lord Trimble, the former First Minister of Northern Ireland. 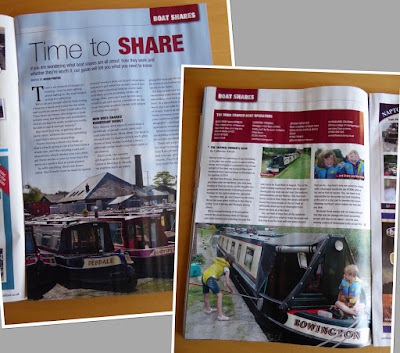 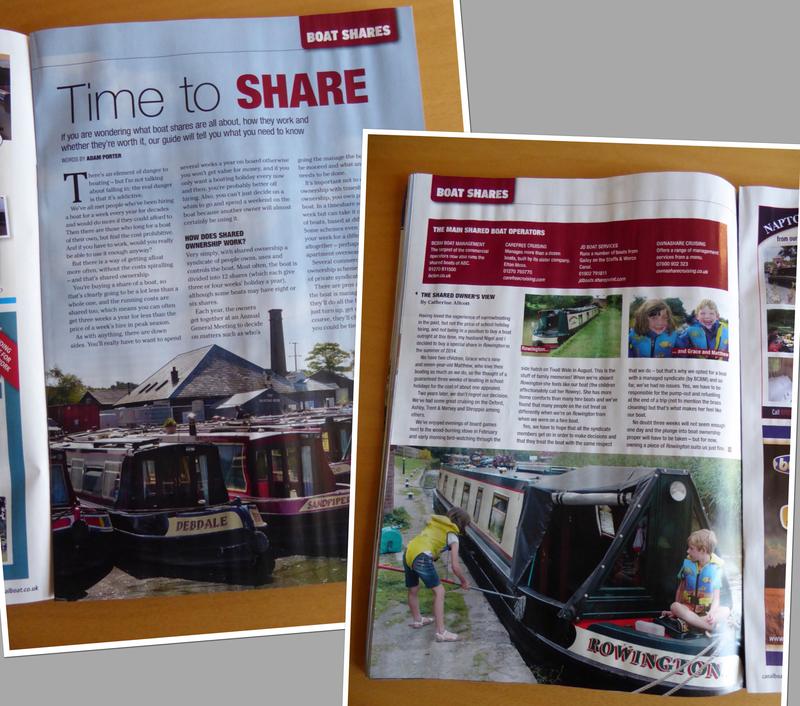 There's also a piece on shared ownership, which includes a contribution by my second cousin, Catherine, about her shared boat, Rowington.